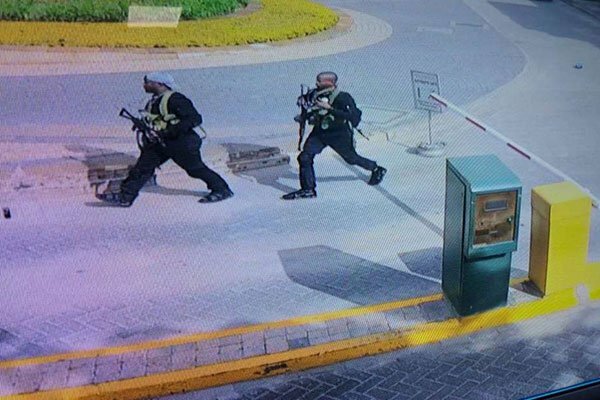 Thursday January 17, 2019 - Anti Terror Police Unit (ATPU) and Flying Squad officers are currently camping in Mt Kenya region hunting down three individuals who were involved in Tuesday‘s Dusit Hotel terrorist attack. According to a senior ATPU official, detectives have identified that the man who planned the Dusit Hotel attack was living in Ruaka, Kiambu County, with his fiance identified as Violet Kemunto Omwoyo. The detective said that Ali Salim Gichunge, who hails from Meru County, was the ground organizer of the Dusit D2 terrorist attack that claimed lives of 21 people and injured hundreds. Eric Kinyanjui from Kiambu County is also among those who planned the deadly attack that shocked the entire nation on Tuesday. Another man identified as Farouk from Nyeri County is also said to be among those who provided terrorists with the map of the hotel complex. ATPU's operation comes a day after Kenya‘s security officers eliminated the four Al Shabaab terrorists who attacked the hotel. The four were Somali nationals and they were guided in Kenya by Gichunge, Kinyanjui and Farouk.